Make selections below. Vehicles have many seat configurations, please look at your vehicle interior if you are not sure of the selections. Price is for a complete set (Driver & Passenger seat). All the seat covers are designed for US Left Hand Drive vehicles only. 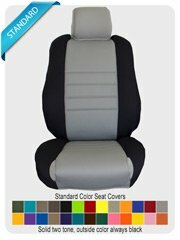 Choose "Main" seat cover color - Click on colors for a larger image. 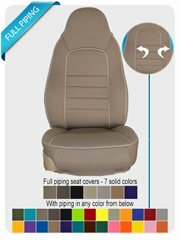 Choose seat cover "Piping" color. Due to the many variations in monitors and browsers, color samples may appear different on different monitors. Computer monitors are not all calibrated equally and color reproduction on the Internet is not precise. 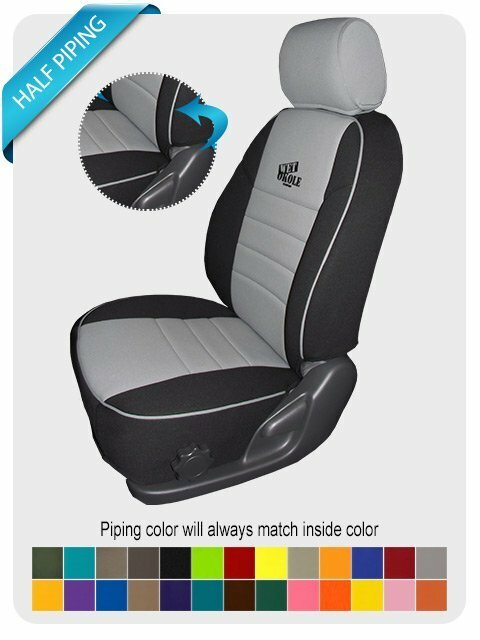 Since it is not possible to guarantee our online colors will look the same on all computers, we do not guarantee that what you see accurately portrays the color of the actual seat cover. We do our very best to make sure our samples are as close to the exact product as possible, but cannot guarantee that what you see is an exact sample. If it is important that the sample be exact, it is highly recommended that you order a sample first, before placing the order. By continuing to the next screen you are agreeing that you have read, understand and agree to these terms. There are no returns due to color variances. Seats made with full piping are available in these SEVEN SOLID DOUBLE SIDED COLORS with piping trim in any of our 24 solid colors. Buy all three and save. 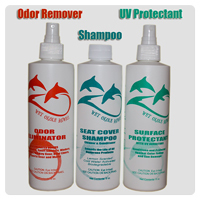 Wet suit shampoo along with UV Protectant and Mirazyme will increase the life expectancy of your seat covers. To avoid any confusion or delays in your order!! 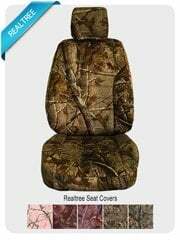 Click here to Upload your car seats pictures. we do not accept returns on our seat covers. They are made for your specific vehicle per order. We will gladly exchange or fix any defect in our workmanship. Defective items will be exchanged with a replacement but if a replacement is not available a credit will be issued. Decorated products are NOT returnable or exchangeable. Any product that has been used is NOT returnable or exchangeable. A return authorization number (RA#) must be obtained from Wet Okole Hawaii by calling 1-888-24-OKOLE. The RA# must be clearly displayed on the shipping carton when returning the product. Please include a copy of the original packing slip and the reason(s) for the return. If a packing slip is not available, please provide the order number from the original purchase. We recommend you use a reliable shipping company and insure the contents. Shipping charges are the responsibility of the customer. 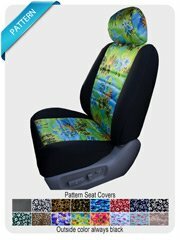 WET OKOLE HAWAII, Inc. warrants seat covers for a period of 90 days from the original purchase date. We warrant against material defects and craftsmanship. Wet Okole Hawaii, Inc. does not warrant against color change, light fastness or fading. If there is any reason that you may have to return your Seat Covers back to us for any type of repair or any other particular problem, please understand that in order to keep the Seat Covers from becoming permanently creased, you have to return the Seat Covers lying completely flat in a box. DO NOT FOLD, ROLL IN A BALL OR STUFF IN A BOX!